The Latino Democratic Committee of Orange County held their Thirteenth Annual Fall Dinner Dance at Cafe Internationale in Newburgh, NY on Saturday, October 15, 2016. 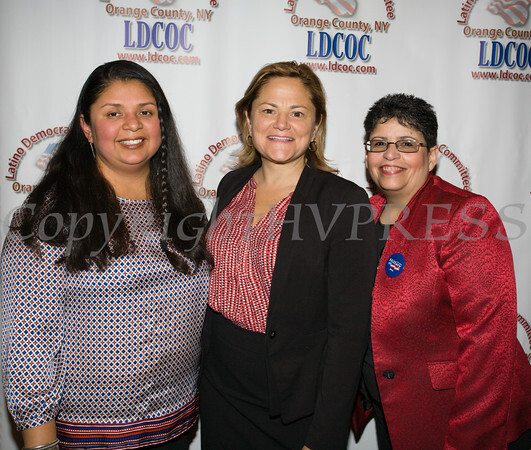 City of Newburgh Councilwoman Karen Mejia, Speaker of the NYC Council Melissa Mark-Viverito and LDCOC Chair Sonia Ayala at the Latino Democratic Committee of Orange County Thirteenth Annual Fall Dinner Dance at Cafe Internationale in Newburgh, NY on Saturday, October 15, 2016. Hudson Valley Press/CHUCK STEWART, JR.